← The Prophet (Boo Radley). 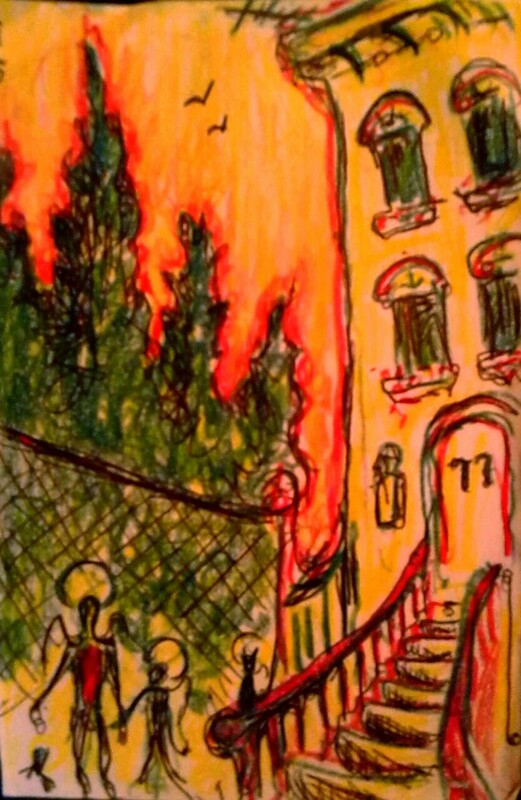 77 Lefferts Place. 2003. Prismacolor and ballpoint on stock.